The Reston Farmers Market opens for its 18th season at Lake Anne Plaza’s parking lot Saturday with its usual — and sometimes unusual — assortment of produce, eggs, meats, homemade baked goods, pickles, popcorn and honey. The market, which spreads out into the craft market on the plaza, is the most robust farmers market among the 11 markets operated by Fairfax County. It was also named “Best Market in Northern Virginia for 2013” by Virginia Living Magazine. Fairfax County markets are producer-only, meaning that all of the farmers and producers may only sell what they raise on their farms or make from scratch. 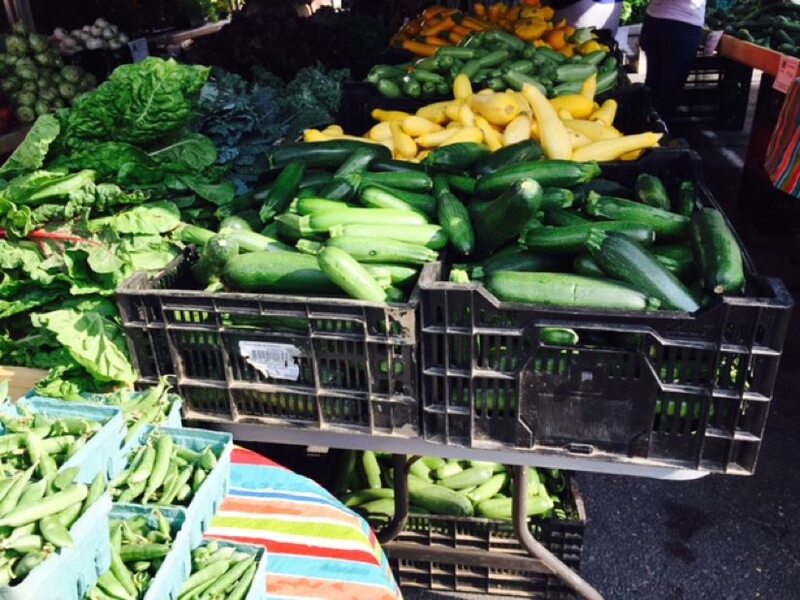 The farmers and producers all come from within a 125 mile radius of Fairfax County. Market hours are 8 a.m. to noon. There’s also a master gardener to answer questions, live music, and a variety of other goods and services — as well as people-watching — to keep you entertained. Here’s a list of the vendors who will be set up for the 2016 season, which will run through mid-November.